Music Education – A National Crisis? The Lancashire Youth Symphony Orchestra (LYSO) rehearsing with Rossall Chapel Choir ahead of a fantastic concert on Saturday afternoon. In recent weeks I have referred, on several occasions, to Matthew Syed’s book Bounce – both in assemblies and online. Matthew explores the multifarious stimuli which resulted in his own development into a world class table-tennis player. He points out that his success and the success of countless other young table-tennis players who grew up in a relatively small area of Berkshire was certainly not attributable to something strange in the water in those parts. Boys and girls who grew up in Berkshire during the 1980s were not genetically predisposed towards becoming Olympic and Commonwealth champions but they did benefit from a well-resourced coaching setup which provided support, encouragement and technical understanding; as well as the competitive environment necessary to provide the psychological toughness that success at the highest level demands. Elite performance is rarely the result of serendipitous chance, yet by the same token it is rarely due to your parents hitting the genetic jackpot. Excellence develops within a supportive context and it is quite possible to assess the role played by various contributory factors. Reflecting upon my own childhood, it is clear that I was incredibly fortunate to grow up in Essex during the 1990s. Although my home county is occasionally denigrated by those who think that we spend all of our time in tanning salons and worrying about our hair, the reality is that there is more to us than just looking great! Essex has always punched above its weight educationally and it has a particularly strong record in the performing arts. Whatever one’s philosophical stance regarding selective education, there is no denying that I was extremely fortunate to benefit from attending Colchester Royal Grammar School – one of the top performing states schools in the country. Good fortune favoured me insomuch as we lived within walking distance of a truly outstanding school. Consequently, I was stretched and challenged in every regard and over thirty percent of my year group went on to Oxford or Cambridge. I was also fortunate to grow up in a household which valued music. My father was a keen amateur musician and taught me how to read music at an age when I could barely recognise letters. He was a keen organist and highly accomplished craftsman and he spent much of his spare time building a chamber organ. One of my most treasured childhood memories consists of me spending time with him as he worked upon this labour of love. Growing up, I quickly learned that through music I could express emotions which I felt unable to articulate.I discovered a sense of belonging through membership of choirs, orchestras and a whole host of other youth ensembles. 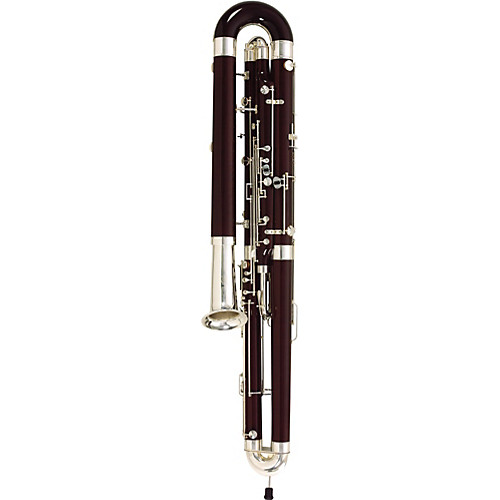 Furthermore, my determination to improve as a bassoonist meant that I dedicated myself to hours of purposeful practice and this provided me with the self-discipline necessary to begin to make a success of my academic studies. Through music I learnt about teamwork, self-discipline, communication, purposeful practice, ensemble playing and much more besides. Music boosted my self-confidence and was an area of my life where I became increasingly focused, resilient and competitive. I became absolutely intent on realising specific goals – such as membership of a national ensemble or mastery of a particular concerto. None of this would have been possible without access to an outstanding quality of music education. At the age of fourteen, I joined the Second Essex Youth Orchestra. Conducted by the legendary Dennis Wick (who was the principal trombonist in the London Symphony Orchestra for many years) the orchestra was of a seriously high standard. We adored and respected Denis in equal measure. His trombone playing can be heard on many legendary Mahler recordings, though he is perhaps best known for his heroic virtuosity on the brass heavy soundtrack of the Star Wars films. At that time, the orchestra was led by Adrian Chandler, who is now arguably one of the greatest living Baroque violinists in Europe. Indeed, many of today’s finest London orchestral players passed through the orchestra’s ranks. Heavily subsidised by the county, the orchestra attracted children from a wide variety of backgrounds. At that time, children from all backgrounds in Essex had the opportunity to learn an instrument. When we outgrew the county setup, Essex would pay for us to attend one of the London Junior colleges. In my case, I attended the Junior Guildhall School of Music and Drama where I benefited from being surrounded by seriously talented musicians and incredibly inspirational teachers. My bassoon teacher, Robert Porter, played in the London Mozart Players for many years and he challenged me in every regard. We were encouraged to have the highest possible aspirations. Upon gaining my Grade 8 with distinction, Robert looked rather unimpressed and pointed out that it was akin to gaining one’s driving license – safe to be on the road but not much more. There is no doubt that I gained from being a very small and average fish within a very well stocked and accomplished pond. The Guildhall School of Music and Drama is situated in the brutalist concrete jungle of London’s Barbican Centre and this became my intellectual, spiritual and cultural home as a teenager. I loved attending the Guildhall and I knew that I was continuously improving if for no other reason than because I desperately wanted to be as good as those around me. Furthermore, I was excited to be taught by such fantastic musicians. My conducting coach, Joan Kemp-Potter was a dramatic lady who, by the mid-nineties, was already well into her seventies. Each week she would bake us a cake and then reminisce in her rather theatrical voice about her meetings with Leonard Bernstein and Stravinsky. 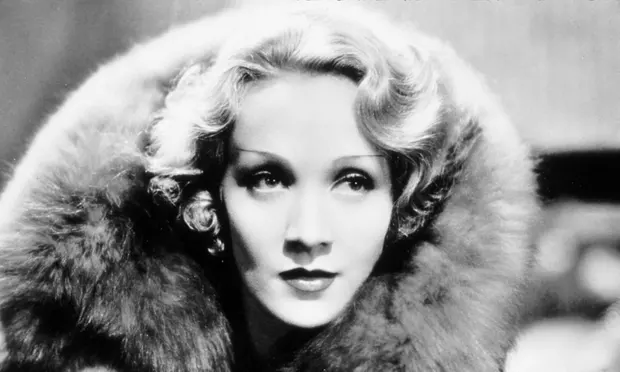 Her husband, William Blezard, had been Marlene Dietrich’s personal accompanist and he had acted as musical director for both Joyce Grenfell and Noel Coward. To be taught by musicians who would reminisce about figures such as Marlene Dietrich was a remarkable privilege and made us believe that we really could achieve great things. It was not a world entirely beyond our grasp or cognition. My musical-awareness teacher, Michael Omer, was a well known film composer and one of the most inventive jazz improvisers that I have ever met. The fearsome but outstandingly talented conductor of the Junior Guildhall Symphony Orchestra, Frederick Applewhite, continually pushed us to become sharper and more intelligent players. He was an exacting taskmaster with uncompromisingly high standards yet he possessed wit and warmth in equal measure. It was not unusual for Hugh Maguire, sometime leader of the New York Symphony Orchestra and first violinist on the Beetle’s classic ‘Yesterday’ to come strolling into chamber music coaching sessions. The Guildhall was an exciting place for a sixteen year old provincial boy from Colchester! A good few contemporaries of mine at the Guildhall went on to become internationally acclaimed stars – one thinks of Alison Balsom (trumpet) and Laurence Power (viola). In all honesty there was nothing remarkable about my playing but I improved immeasurably from access to the sort of culturally stimulating environment which is simply not accessible to most young people. Moreover, the benefits of an excellent musical education impacted positively on all other areas of my life. None of this would have been possible without the outstanding support of Essex County Council Music Service – they even paid for our train fares to and from London. I was also lucky to have a mother who ran me about between rehearsals and lessons. In reality, the county setup took care of almost every aspect of my musical education. When I wanted to learn the contrabassoon, (a stupendously expensive instrument) my mother drove me down to the county music store in Great Totham and I went home with a county instrument which I retained for a good few years. There was no charge, and I am pretty sure that I didn’t even have to sign for it. The fact that the county had bothered to purchase a contrabassoon demonstrates their total commitment to music education. Serious repertoire for the contrabassoon is limited but Brahms’ symphonies and Prokofiev’s ballets would both be lost without it. Ultimately, I chose to become a historian rather than an average musician but my love for music remains undiminished. Looking back, I am profoundly grateful that I had the good fortune to grow up in a county which championed our musical education on a level which almost defied belief. Consequently, I find it very sad that a lack of resources has led to such a dramatic diminution of musical opportunities for young people; especially those from lower income backgrounds. According to one new report, just 19% of low income families – with a household income of less than £28,000 a year – have one or more children who plays a musical instrument. This compares to 40% in high income families – which means those earning over £48,0000 a year. How sad that the opportunity of learning an instrument is denied to so many from lower income backgrounds. Parents from lower socio-economic backgrounds often have so many additional stressors that accessing music may be low down on the priority list for the child. It is the role of government and schools to nurture and to encourage children’s exploration of music as a powerful learning and social tool. Yet in reality, music in state secondary schools is being squeezed because of the pressure on pupils to take subjects included in the EBacc school league table measure. Cuts to funding means that class music lessons are no longer compulsory in nearly 40% of Schools at Key Stage 3. In 2017, the NASUWT pointed out that, ‘increasingly, where music lessons or activities are offered by schools, these are at a charge, thereby restricting access only to those children whose families can afford to pay’. In 2016, the government committed to providing £300 million of funding for musical hubs but this will run out in 2020 and it remains to be seen whether or not it will be renewed. Lancashire Music Hub works extremely hard to provide musical education opportunities for children within the county and there really are plenty of fine young players on the Fylde. It was a pleasure to host the Lancashire Youth Symphony Orchestra at Rossall on Saturday afternoon and how wonderful that young people from across the county have the opportunity to tackle something as musically challenging as Borodin’s Second Symphony. The beginning of the slow movement starts with a hauntingly beautiful French horn solo. Helen Harrison, who conducts the LYSO, shared with us what the music meant to her on a personal level. As she spoke, I watched the quiet concentration on the faces of the young players as they listened to her heartfelt words. It was a moment in time which was profoundly moving and it reminded me of how much I had learned from those who had inspired me so many years ago. Musical education is about much more than music. Rossall has hosted both the LYSO and the Fleetwood Music and Arts Festival during the past fortnight and I hope that we will continue to forge ever stronger links with local arts organisations and those, like Helen Harrison, who are wholeheartedly intent upon ensuring that all children in our part of the world benefit from access to an affordable musical education and the opportunity to learn an instrument. Like sports, music provides lifelong enjoyment and sustenance for so many of us and this is just one area where, as an independent school, we are able to work in partnership with the local community to ensure that the opportunities available to our own boys and girls are extended to those in Fleetwood, Cleveleys, Thornton and indeed all of our neighbours and friends across this part of Lancashire.